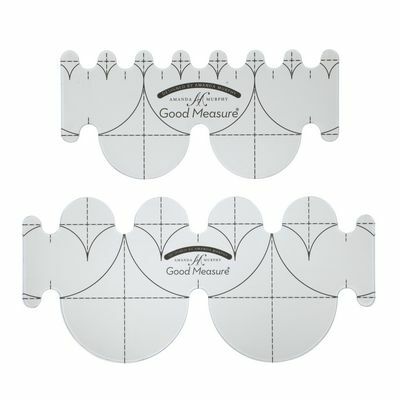 Good Measure by Amanda Murphy - Every Clamshell Template Set of 2pcs. 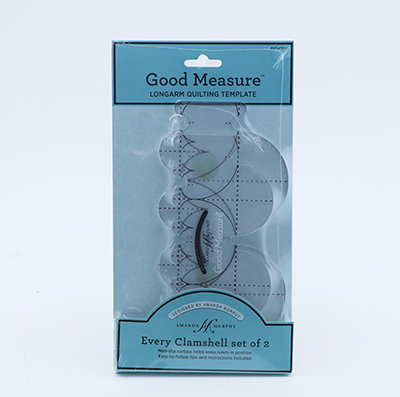 Allows you to make 1in, 2in, 3in and 4 inch Clamshells. 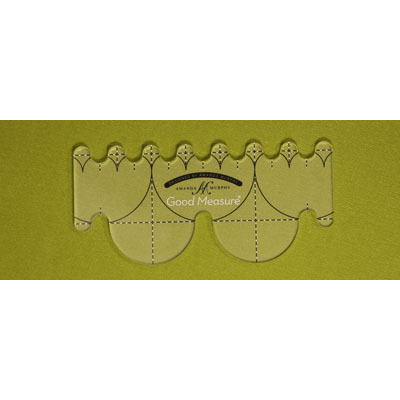 It has markings that clearly indicate the previous row's quilting lines, which no one else has. All with non-slip backing. *Map Pricing* MAP $39.99. This item is subject to a Minimum Advertised Pricing Policy (MAP price listed) Full Brewer MAP policy details are available for review on our website under the Shop Resource tab.